Gardening is one way to a brain-healthy lifestyle - who knew? I'm currently reading a book called '100 days to a Younger Brain'. So what's that got to do with growing veg, you may ask? On many levels, gardening is good for you but I hadn't realised that this pastime was helping to keep my brain in tip top shape. Forget-me-Nots ... an appropriate flower for this post? After skimming through the salient chapters in the book, (I will go back and read it properly but first wanted to get straight to the nitty gritty), it seems that if we want to slow or reverse cognitive decline in our dotage, we need to adopt a brain-healthy lifestyle with regular exercise, optimal amounts of sleep and stress, social engagement, mental stimulation, and a moderately healthy diet. I simplify, of course, but it reminds me of how my lifestyle has changed through gardening and engaging with the gardening community. I've learnt so much and have a better diet and more positive outlook as a result. It's not the first time the wisdom of this sort of healthy lifestyle has been touted around but I hadn't realised to what extent this, or lack of it, affects our brains as we age. A classic case of not seeing the obvious until it's pointed out - but I do love some solid advice wrapped up in a bit of neuro-scientific nerdery. The author, a research psychologist, offers practical advice to slow, halt or reverse signs of deteriorating brain health and how to build resilience against disease through healthy lifestyle choices. Scarily, our brains have already started to atrophy at age 30 (who knew?) but that decline accelerates once we reach 60 by which time we've potentially lost up to a third of our brains anyway. Crikey. The good news is that even if our brains have shrunk to the size of a small coconut, physical exercise and stimulating environments will help to increase the brain's abilities to learn, remember and function, thereby potentially counteracting diseases such as dementia. And that's where gardening comes into play - for me, at least. Being outside gives me social contact with my neighbours; lugging compost and plant pots strengthens my bones; weeding, sowing and hoeing keeps me supple; proximity to nature and the seasons promotes mindfulness and calm. Even writing this blog is keeping my brain active! So far, so reassuring. Now I just have to work on taking regular breaks from screen time (a quick walk round the garden or run up and down the three flights of stairs to my front door?) and to drink more water. Sometimes I literally forget to drink. This week though I've had a jug of water on my desk and manage a litre a day plus tea and coffee! As a result I'm feeling less tired in the evenings and sleeping soundly. Result. 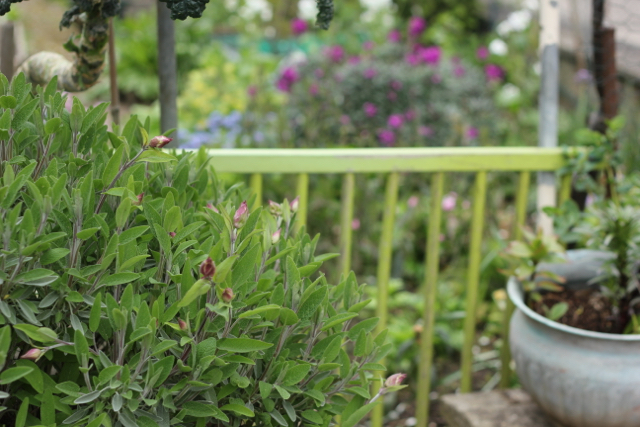 The best though is that during regular breaks, I wander onto the balcony to think about the garden, or stroll down to the veg patch to see what's occurring - often coming back with some herbs or veg for lunch. Communing with nature, exercise and a healthy lunch? Three more boxes ticked! 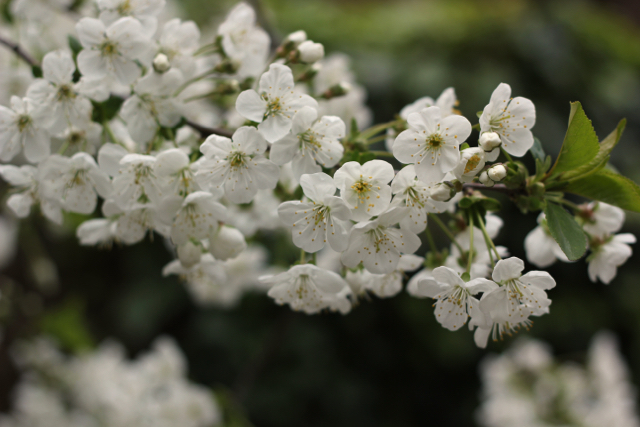 Regular as clockwork - blossom on the plum tree. Tonight the clocks go forward in the UK, heralding the start of British Summer Time. Tomorrow I'll wake as usual at 7am and change the hands on all the clocks to 8am and feel that the day has stolen a march on me. It's all very unsettling but, despite my curmudgeonly attitude, at least I'll feel one step closer to summer! Now that April is only a day or two away, the garden is really coming alive. 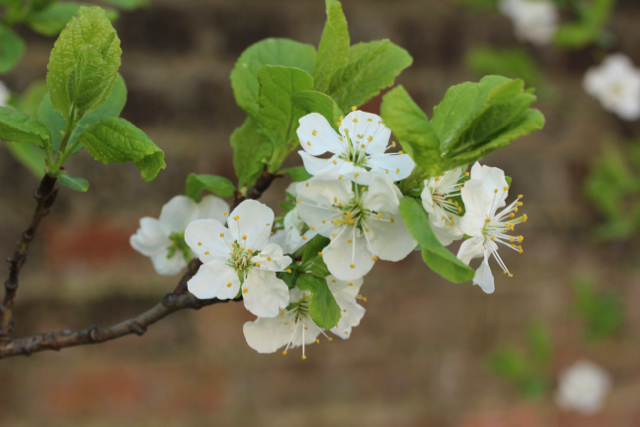 Mostly with flowers, to be fair, but when those flowers are sparkling on the pear and plum trees, you know you can start to get excited. 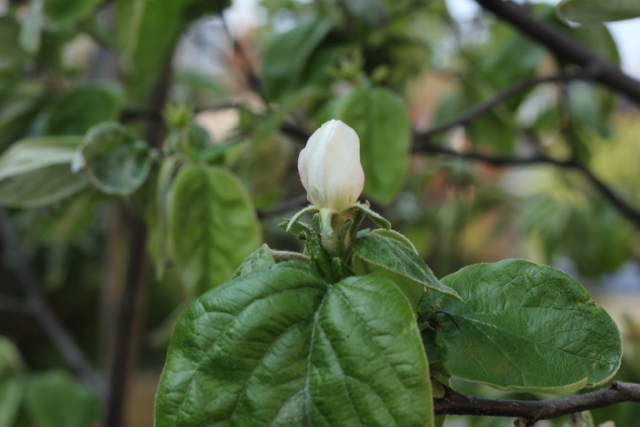 There's even one small blossom bud on the quince tree planted at the northern end of the veg patch; the other quince (a patio variety in a pot) has never flowered and I'll be pleasantly surprised if I see any blooms this year. I'm not sure why it's never flowered but no flowers means no fruit. More feeding is needed I guess. 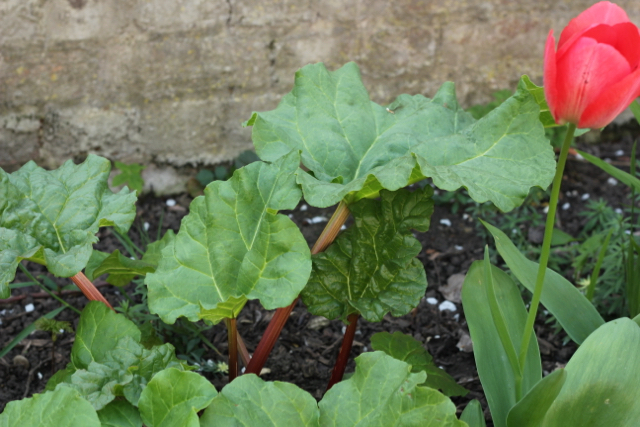 And so to rhubarb. Choosing the best cultivar is key; I've already indulged in some delicious stewed rhubarb a few weeks ago thanks to a friend who grows a large patch of Timperley Early and, serendipitously for me, doesn't like rhubarb! Regular readers may remember that I got rid of my Glaskins Perpetual clump last year. It was too big and too green - but fantastic if you want stems for most of the year. I like a nice red stem (a must for fruit fools or stewed fruit) so pinned my hopes on a new Siruparber plant from Lubera in Switzerland as well as the two Red Champagne plants struggling to survive under the apple trees. 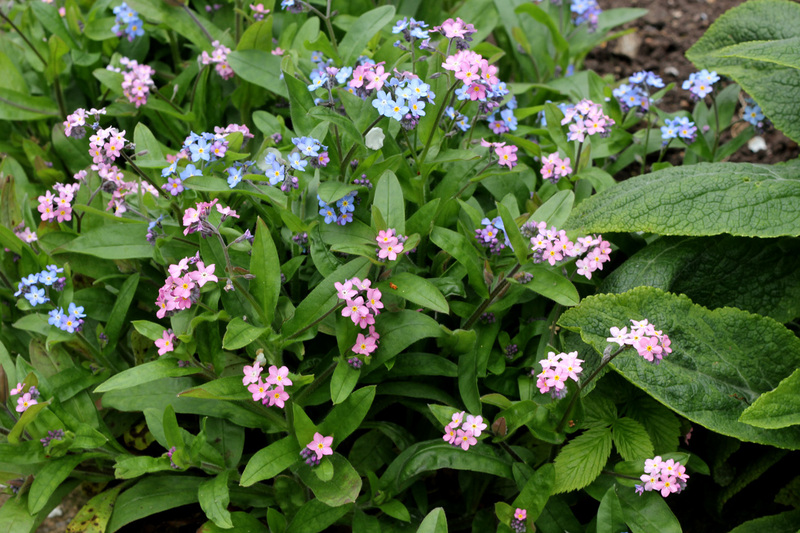 I do think colour is so lush in spring - I have primulas, cowslips, daffodils, forget-me-nots, tulips and muscari (grape hyacinths) to keep bees happy. I've only seen a couple so far but they'll buzz over once they know the nectar bar is open. This year self-seeded Cerinthe (honeywort) and Borage are blooming under the fruit trees - perfectly placed for pollinators - and one or two calendula plants have over-wintered. I don't even mind that the purple sprouting broccoli has finished and started to flower. It's possibly the prettiest time in the veg patch and all part of the circle of life. 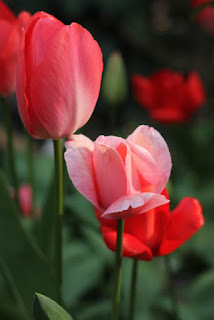 Last year's tulips return. Did I put those colours together? Having resolved not to be overly hasty in seed sowing, I sat outside on a bench on Thursday with my eyes closed, my face lifted to the warm sun and pondered the big question at this time of year, 'Is it warm enough to start sowing?'. Realistically, I know it's best to keep to my plan to sow direct next month but I've been re-reading Charles Dowding's 'Veg Journal' - the man is such an inspiration - in which he suggests sowing spinach indoors, 2 or 3 seeds to a module or small pot, and then planting out in 5 weeks time, ie mid-April when the weather will hopefully be less turbulent. Ditto for beetroot and leeks, which is a good reminder for me as I always forget to sow leeks in time and then worry as their skinny little stems look so fragile if the weather gets too hot ... or cold ... or windy. What have I learned from last year? 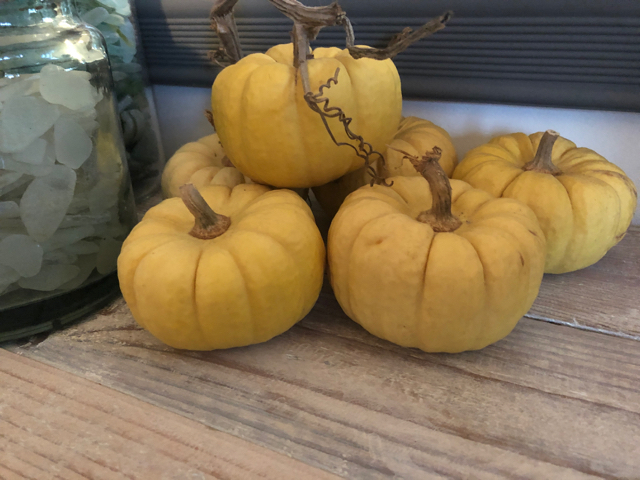 Baby Boo squash: A lovely creamy white on the vine but have yellowed over the winter months indoors. Every year is different and there's always something new to learn. What works one year may not work the next so it's good to look back and take stock before starting off again on your gardening journey. Write it down! I always start off well, recording seed sowing dates in a notebook or cheap diary but often forget to record transplanting or harvest dates. This year I'm inspired by The Green Conspiracy's garden planner where each vegetable is recorded on it's own page so its progress can be easily tracked. The planner is being produced in Germany after a successful Kickstarter campaign to fund the first printing and looks to be amazing for new growers. A printed planner is too expensive for me at around £30 (it needs to be replaced every year) so I'm buying the cheaper (£6) pdf version to see what it's all about. Will I bother with peas this year? No. Nor mange tout. I've thought long and hard about this but, if I'm honest, I'm happy with frozen peas and the mange tout weren't plentiful enough to bother with in my small space patch. 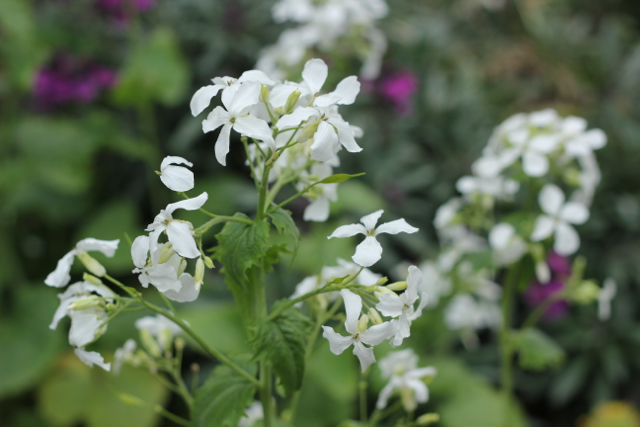 But I will be keeping my eyes open for varieties that claim to produce prolific crops and might grow a few in large pots. When you've not much space, it pays to be practical as well as considering alternatives like container growing to expand on available space. Always grow kale. In 2017, I let a Cavolo Nero plant go to seed (the bees love the flowers); one tiny seed dropped and grew through the 2017/18 winter and produced leaves from early summer onwards. It's now taller than me and still growing (just starting to flower but the flower stalks are edible) - must have saved me a fortune in the shops! 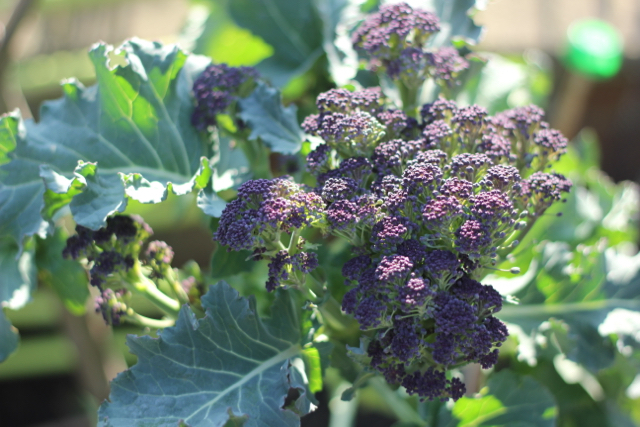 Always grow Purple Sprouting Broccoli (PSB). Not only is it expensive to buy but gathering home grown vegetables from the garden in the depths of winter (even a mild one) feels like a real treat. The same is true of kale, leeks, parsnips and sprouts. And I get to feel very smug that I have fresh psb growing and looking so much perkier than the ageing produce in the shops. I experimented with turning my metre square asparagus bed into a square foot planter - I divided the space into a grid of nine square foot spaces and put one plant in each of the squares not already occupied with an asparagus crown. I planted tomatoes in between the asparagus fronds as they make good companions; it nearly worked except that a neighbouring redcurrant bush partly shaded the tomatoes. The small plum tomatoes did well, the beefsteak toms were still trying to ripen at the first frosts! A stupid mistake on my part. This year I'll put the tomatoes next to a sunny wall and plant calendula and spinach around the asparagus. Don't forget the verticals. Every year I regret the lack of a sturdy arch. My cheap metal arches lasted two seasons before toppling in gusting winds but oh how I loved seeing beans climbing up and over the top. This year I want to try again with growing luffas and Malabar climbing spinach. The search for how to build a sturdy structure is on. Say yes to salad onions. I used a lot in cooking last year and they take up very little room. I'm thinking of lining a section of the veg patch path with them. I'll also sow some around the edge of my carrots as I find this helps to keep carrot root fly away. Or maybe I just don't get carrot root fly. Works for me, anyway. Don't panic if you haven't mulched. Recent research suggests that if a thick mulch (minimum 5cm) is applied one year, it can be skipped the next. The same research also advised mixing the mulch 50:50 with garden soil or compost as too rich a soil can make plants sappy and weak. Personally, I never have enough mulch for a thick layer so tickle a thin layer into the top layer of soil in the veg beds and put a thicker layer around perennials (like rhubarb and raspberries) and fruit trees. There are no hard and fast rules for when to sow - what matters is warmth and light. Waking early yesterday, I noticed that in south-east UK we're now getting a good twelve hours of daylight but the weather is still chilly at night and wet/windy during the day. In his book, Charles Dowding suggests that vegetable seeds fall into three categories - cool, medium and warm temperature veg. Cool-type seeds can be sown outside once temperatures are consistently above 5°C/41°F (roughly now in the UK) but will rot if the weather turns wet and cold before they successfully germinate. Anything sown direct in the last couple of days here would have got washed away. The warm seed category (tomatoes, chillies, etc) need to be germinated and raised with heat above 64°F/18°C so tend to be raised under cover. Plant garlic cloves, onion sets, and potatoes. I'll also be replanting some oca saved from last year's harvest. Sow broad beans, radish, spinach, sorrel, peas for shoots, parsnips, brassicas (broccoli, calabrese, cauliflower). Edible flowers - try sowing nasturtiums and calendula now. Self seeded borage is about to flower in my veg patch which tells me that the soil is warm enough to grow things. And I have so many violets in flower that I might try moving a small clump. If the daytime weather forecast for my area comes true (58°F/15°C), a first sowing of medium temp veg seeds might be possible - carrots, spring onions, winter lettuce - but would need fleecing against wind and lower nighttime temps. Probably best to wait a while longer. Weeds - take them out while they're tiny otherwise they'll be soon be hogging light, water and nutrients intended for the plants you do want. I haven't sown anything yet but will get going over the next few weeks with germinating the following on warm windowsills in seed trays. I'll be sowing pea shoots and micro leaves indoors and beetroot can also be sown into modules - I use this lovely paper pot maker * as I can plant the whole module when the time is right with less root disturbance. 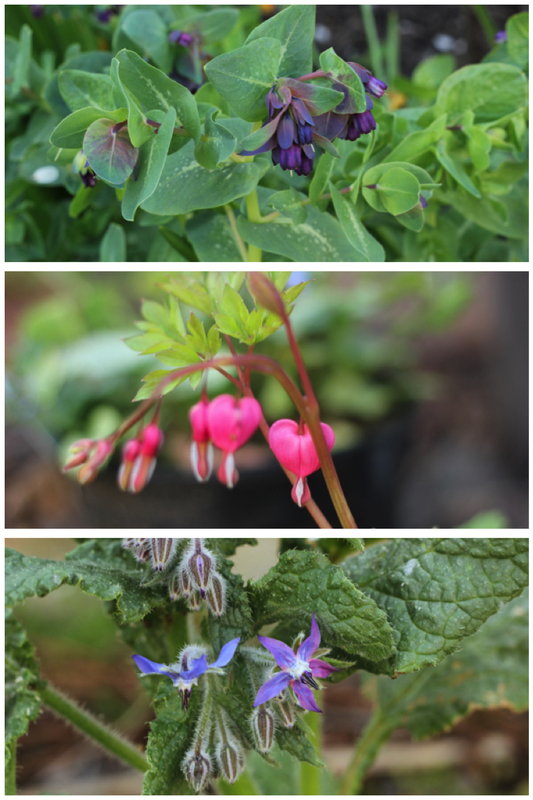 And while I wait for the right time to start sowing, I'm going to be enjoying all the gorgeous spring flowers in the garden. * Disclosure - the paper pot maker was gifted to me last year by Burgon and Ball but I genuinely love it, finding it easy to use, efficient, and perfectly suited to my as-plastic-free-as-possible lifestyle. Hello again, I'm back. Did you miss me? Well I've only been outside in the garden. I've had a winter break from blogging to sort out both the veg patch and the second garden under my window - and read, amongst other things. It was a wonderfully relaxing time but now, with the weather getting warmer, it's time to get back to business. Coming up in future posts are new products seen at last week's Garden Press Event (it was a good one! ), my thoughts on how and why to spark joy in your garden, what to grow in containers, and a couple of book reviews. Busy, busy. But, to welcome readers back into this space, let's see what's been happening here. Spring is definitely underway, even if temperatures plummet to a March norm from now on (lashing rain and cold winds as I write); in the garden rhubarb stalks are appearing, purple sprouting broccoli is regularly on the menu, first pickings of chives and wild garlic are almost ready, quince major has its first spring leaves, rosemary is blooming, and flowerbeds are filled with colour from the usual spring fare of crocuses, hellebores, daffodils, primroses, violets, and honeywort. Okay, maybe that last one isn't usual but it shows how mild our winter has been. You'd think that February's warm sunshine would have prompted some early sowing but, no, not for me. I read Allan Jenkins' book 'Plot 29, A Memoir' over Christmas; he sows all seeds direct into well mulched soil and believes that his plants are stronger for it (unless slugs get them first). That's how the first seeds were sown in the early Veg Patch years, and it's how I'm gardening this year, at the appropriate time, leaving my windowsills clear for tomato seedlings and micro leaves. What will be growing in the balcony garden this year? I'm lucky to have the use of a larger growing space as well as my balcony but, even though my balcony is tiny, I still make the most of that small space. I love that certain plants are to hand - tomatoes, salad leaves, herbs - so, as usual, I'll continue to grow as much of those as I can fit onto the balcony in planters and pots. Balcony growing is not without it's challenges; my balcony is closed off on the south side so is shaded in the morning and very windy but I've found that parsley, chives and mint all do well. Cross winds can damage plants and wick moisture away from the soil so regular watering and feeding is important; last summer I watered every day, sometimes twice a day, (but always checking first to see what was needed) and was reminded to feed the plants with the hashtag #feedonfriday. 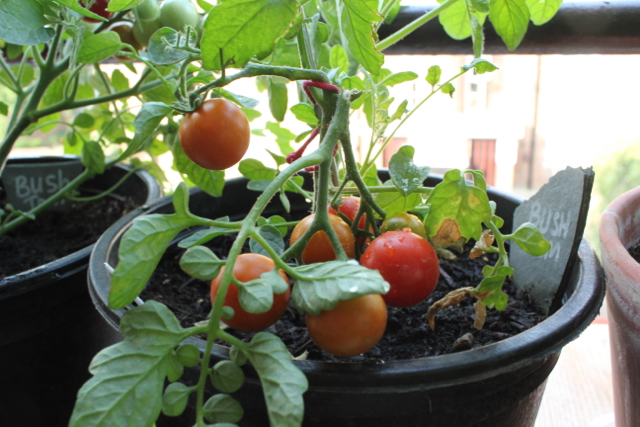 But the absolute best thing last year was having several cherry tomato plants in pots on my balcony to pick at from July through to December. Seeds were sown later than usual in April, due to an extreme winter, and I also bought a couple of small plants from the garden centre (just to make sure I didn't go without!). It worked so well that I'm going to do the same this year. What will be growing in the veg garden this year? ... and there will be flowers! All those seed catalogues are so tempting, aren't they? The descriptions conjure up visions of such deliciousness and beauty that my seed list can double after dipping into their pages. So far I've resisted the seed catalogues, preferring to think first about growing what I really enjoy - and only then dipping in to see which varieties I need to replace after checking my seed box. I've made a list of the veg that makes home grown worthwhile for me: sweetcorn and asparagus that are at their finest freshly picked, carrots because they're fun, rocket because I never need a whole bagful, ditto spinach, garlic because last year's harvest has seen me through the winter, purple sprouting broccoli because seeing those purple sprouts make me happy that winter is nearly over, French beans and one courgette because I didn't grow any last year, tomatoes and chillies - the essence of summer! - and kale, the workhorse of the veg garden. And perhaps some bulb fennel if there's space. Having sorted that out, I found that I already had most of the seeds I need without any unnecessary additional spending, although I'm going to replace all of the strawberry plants this year as the old plants were unreliable and tasteless. I've read that renowned chef Raymond Blanc recommends Marshmello strawberries for flavour so I've put an order in to Marshall's who supply both bare root and plug plants. 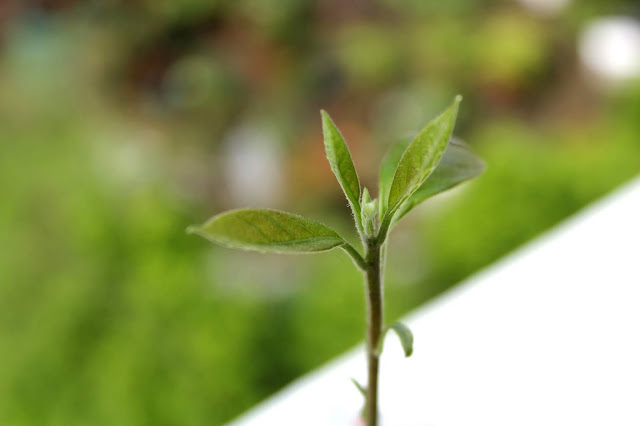 Instagram is currently awash with images of seedlings growing fast on windowsills and greenhouse shelves, especially during the last few weeks of unseasonably warm sunshine. I can totally relate to the urge to start sowing seeds at the very first sign of warmer weather but would advise caution! The weather from February through to the end of April can be very unreliable, warm one day and snowing the next (I jest not), so early sowing is a gamble. Seedlings grow weak and leggy without good light and, if planted out too soon, may just become slug fodder. Better to have strong plants that have a greater chance of survival. Plus, it's not a race - do what feels right for your growing environment. My post tomorrow is about what you can and should be doing in March. Tune in? 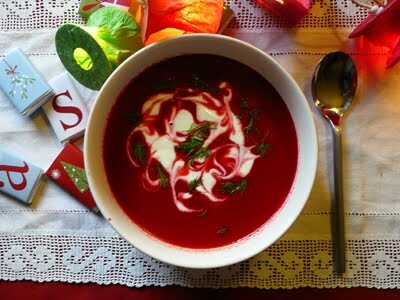 I first made this vibrant Christmas Soup almost ten years ago when I had a glut of beetroot from the veg patch. Now I recognise that it's a very nutritious balanced meal, a perfect foil for sweet Christmas indulgences, and a good time saver if made ahead and frozen. My late mother was an amazing cook and Christmas was a time when she could give free reign to all her culinary talents. Not for our family shop-bought mince pies and fruit cake, plastic wrapped turkey, boxed stuffing mix, microwaved Christmas pud or store bought brandy sauce. No, my lovely mum would start in early November making the fruit cake, feeding Dad's best brandy into it to keep it moist over the weeks ahead, ordering the bird (always called 'the bird' in our house) from the butcher in early December and building up to the big day like a military operation. Everything was made from scratch, just as her parents had done before and as I try to today. Among all this preparation, she would still find time for freshly made soup for lunch and homemade mince pies at teatime. 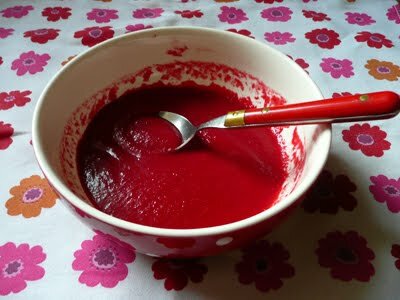 Lunchtime soup became a reassuring daily tradition so it's no surprise that, in the early veg patch days when I set myself the challenge of finding ways of liking beetroot, I turned to soup. Soup is so comforting, isn't it? 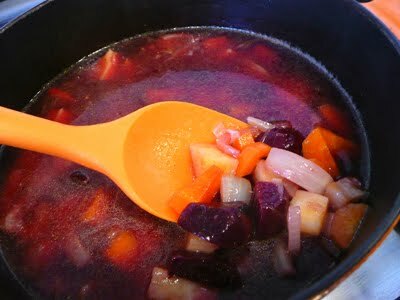 The recipe that I drew inspiration from in 2009 called for more beetroot than other veg. I tweaked the proportions so my version has more carrots, more parsnips and less beetroot to make a sweeter, less earthy soup but with the same vibrant deep red colour. With the confidence of experimenting with home grown veg over the past decade, these days I'd add celery to the veg mix and top the soup with toasted and crushed hazelnuts and green pumpkin seeds. I'd also stir some horseradish through the yogurt garnish. After all, I've got to do something with all the horseradish romping through the veg patch! Why not try it and let me know what you think? And trust me on the toasted hazelnuts and pumpkin seeds - that crunchy topping is delicious! Roast or boil beetroot until soft (about 40 minutes); leave to cool before peeling, discarding stems and roots. Chop into smaller chunks. Peel and chunk carrots, parsnips, celery. Slice onions. Heat a tablespoon of oil in heavy based pan. 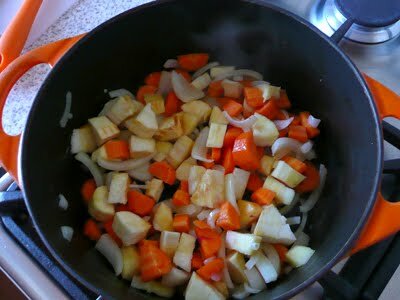 Add onions, carrots, celery and parsnip. Stir to coat. Put on lid and sweat for 5 minutes until starting to soften. Add ground coriander spice. Stir in and cook for 2 minutes more. 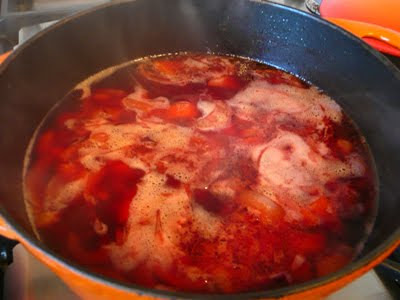 Add stock and beetroot. Bring to boil then simmer for 20 minutes, lid off. When cool, blend soup until smooth. Season with salt and pepper as needed. Garnish with a swirl of yoghurt and/or other toppings. Get creative with patterns in the yogurt! To make swirls, use a chopstick or skewer to pull the yogurt gently into the soup in small circles. Onion, Parsnip, Carrots about to be 'sweated'. Stock and Beetroot added. Mmm, getting redder! My first bowl didn't have Dill in it but was very nice. I bought some dill for the second serving of soup and was amazed at the transformation. 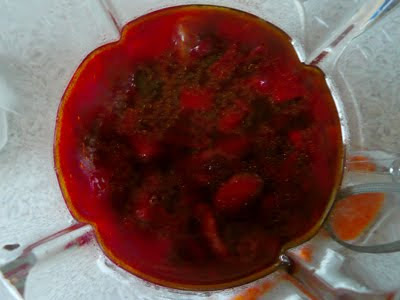 It added a whole new taste dimension, as did the yogurt - and both are quite important for the Christmas look! Fascinating fact: Did you know that Dill is traditionally an Ancient Sign of Fortune? And marketed by a certain UK supermarket as 'feathery fronds of fragrant flavour'. Need I say more? Beetroot: A wonder food! A good source of soluble fibre, packed with Vitamins A, C and B6, and folic acid. It is both an appetite stimulant, easily digested and contains an abundance of calcium, potassium, choline, organic sodium and natural sugars. Helpful for anaemia, anxiety, fatigue, skin problems, liver problems, circulatory weakness, menstrual and menopausal problems, high and low blood pressure. Parsnips: Another good source of fibre and packed with vitamins and minerals. The organic chlorine (not the sort used in swimming pools!) is a natural mineral and as such is used as a body cleanser. Parsnips are rich in sulphur and silicon which is very helpful for skin and hair health. Parsnip juice is also very beneficial for anyone suffering from lung conditions, but small to medium sized parsnips are best for this. Onion: Rich in vitamin C, copper and iron, as well as sulphur, calcium and phosphorus. The juice was used by the Romans for treating skin disease and healing wounds but is equally good for the immune system today! * I firmly believe that being aware of what you eat is better than spending hours at the doctor's surgery. I occasionally juice fruits and veg and the above facts are taken from a book called "Getting the Best out of your Juicer" by William H Lee. Published in USA, it's not widely available in UK and may be out of print. I think I bought mine in a health shop about ten years ago. How to easily grow avocados with guaranteed success! ... or, how I managed to grow an avocado, kill it, and then restore it back to health - all with advice gleaned from RHS Urban Garden shows. During the forthcoming holidays, I'd like people to stop and think before they toss out empty jars and avocado pits after making guacamole or whatever. With those two things, you have the means tp grow a free houseplant. There are some people for whom the challenge of growing an avocado plant from the discarded stone/pit is easy. Let me tell you now, I am not one of those people. 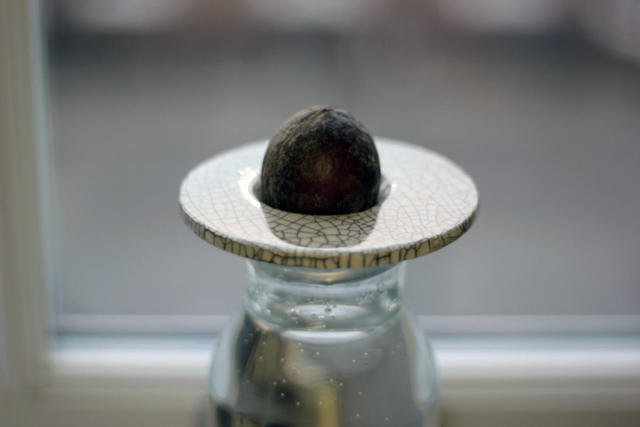 For years, I tried every method of sprouting an avocado stone without success. Feeling thoroughly defeated after so many failures, I gave up and started chucking the stones away. But this is not about my failures but about how to successfully grow an avocado. I wasn't always challenged at growing avocados. In my first flat, a large soil filled pot in my living room stood ready to receive every avocado stone that I discarded. No special treatment required; I placed the stone fat end down, and left it. (With occasional watering.) The pot soon became a forest of leaves to challenge the Monstera at the other end of the room. But when I moved on, the avocado jungle stayed behind; I felt confident that I'd quickly grow another pot of avocados - after all, how hard could it be? But when I left, my green fingered houseplant magic stayed behind - and the years of avocado growing failure commenced. Fast forward to autumn 2017 to a mini-workshop at the RHS Urban Garden Show; an RHS trained gardener promised to guide participants through a Guaranteed Method of growing avocados. Here's what I learned that day. Carefully cut the avocado pear in half, taking care not to score or damage the root end of the stone with your sharp knife. Ease the stone out of the flesh with a teaspoon, again being super careful not to damage it. Wash or wipe any flesh off the stone - you don't want it to get mouldy. Fill a 9cm wide plant pot with regular potting compost to a half-inch from the top. Tap the pot on a hard surface, eg table top, to settle the soil. Make a slight dip in the centre and place your avocado stone in it. The top of the stone should sit above the soil. Think Orca coming up for air. Water the pot well until you see water draining from the bottom.Allow the pot to drain fully - no more water dribbling out from underneath. Cover your pot to give the stone its own little greenhouse. We were given small plastic sandwich bags for this, secured with string. Now I would try and use a clean upturned glass jar. Check the moisture levels in the soil on a weekly basis - if dry, water sparingly. Don't overwater; the soil should be slightly damp, definitely not wet. After the workshop, I carried my little pot home and then I waited. And watched. And waited some more. Four months later, convinced I'd got another non-starter, the pot and pit were destined for the dustbin when I saw a tiny crack in the stone! I swear I couldn't have been more excited if I'd had a hatching dinosaur egg in my hands. Over the next week, a shoot slowly appeared. 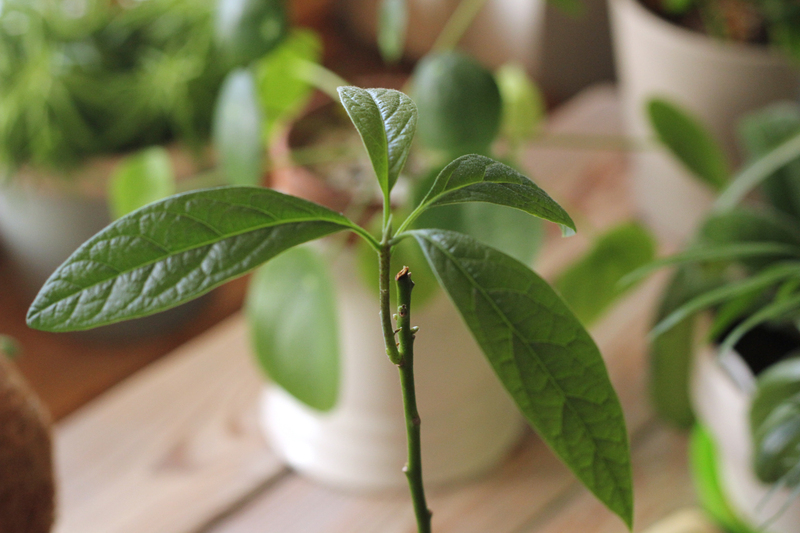 In another month, I was the proud owner of a healthy, albeit spindly, little plant with several leaves. By summertime (just before its demise) most of the leaves were six inches long; I was so proud of it. And then, at the height of the summer heatwave, I reasoned that avocado trees natively grow in hot climates and put the little plant outside to enjoy some fresh air. (I can't now believe I was that stupid.) I introduced it to the wider world of my balcony ... and the glaring sun. Game over. 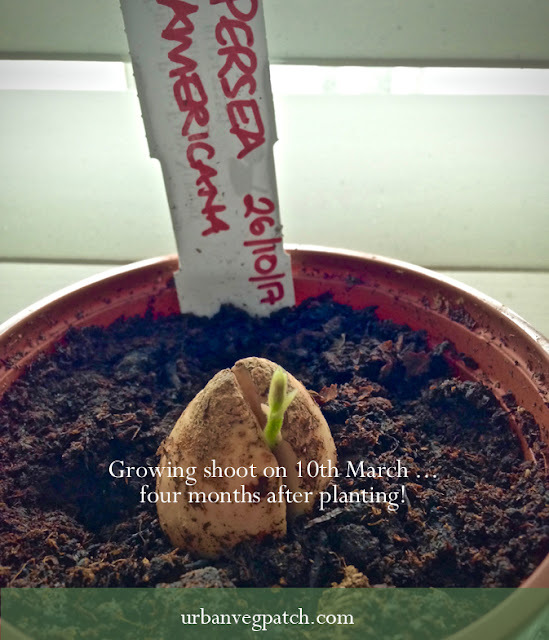 Successfully growing an avocado - 14th April, one month after sprouting. Plants really don't like drying heat - unless they're a cactus. And I hadn't checked the moisture in the soil before putting it outside. The leaves scorched, the plant withered. I was devastated as I watched the leaves drop, one by one, and shelved a triumphant post of avocado growing success. For some unknown reason, I kept the dead plant. A serendipitous move as it turned out. Returning to the RHS Autumn Urban Show in late October this year, I learned of a little known hack that has enabled my avocado to rise Lazarus-like once more. decapitation; or, more correctly, trimming back. By lopping off the top of the stem above a leaf node, I triggered the plant to produce more leaves. Not bad considering it had been 'dead' for over 8 weeks and mostly unwatered! I'd noticed a microscopic green bud forming at the top of the twig/stem so cut just above it - and it worked. Avocado stones can be sprouted over water as well as in soil - grower's choice. The bottom of the stone must be in contact with the water until a root system has formed, then the stone should be transferred to a small pot, planted in well draining compost and left to grow on indoors in a warm environment - 20°-25°C (68°-77°F). Toothpicks not your thing? I'm sprouting a stone using a stylish ceramic disk bought from Studio Janneke - an independent ceramicist working from her studio in North London. I think it looks lovely, and so much prettier than watching a brown pot for four months. Patience is key. The stone should germinate in four to six weeks but, as I've shown, can take considerably longer. Once the plant has outgrown this first pot (roots can be seen at the bottom of the pot), repot in spring into a larger pot, at least 1ft in diameter. Use a soil based compost for this. 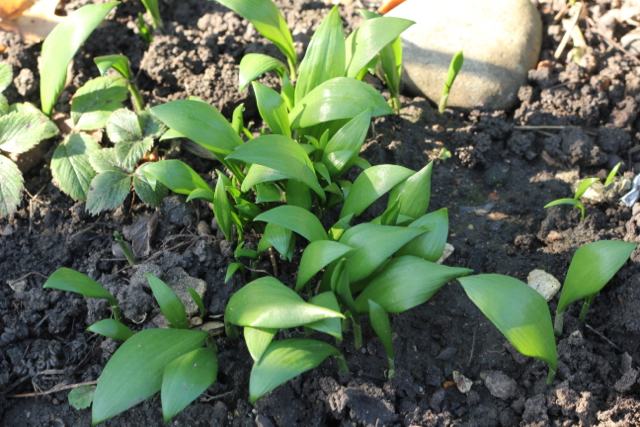 Plants with fresh compost won't need feeding for several weeks but otherwise give established plants a liquid feed (seaweed fertiliser is good) every 2 to 3 weeks throughout spring and summer. Established plants like to be kept on the cool side in winter 15°-18°C - definitely not above a hot radiator - but move to a slightly warmer spot in summer in bright light, but away from direct sun! I hope you've found this post useful - it didn't occur to me that I could prune my plant back into life so I'm happy to pass on a helpful tip. Growing any plant from a seed is fun for children but I think avocados are especially exciting (next to potatoes and tomatoes). If you do think about giving it a go, I'd love to know how you get on!